A quick view of the most influential metrics in College Area. College Area and Rolando are both neighborhoods within the College Neighborhoods of the city of San Diego in San Diego County, California. The neighborhoods border each other and are in the Mid-City region of San Diego. College Area is the home of San Diego State University and a thriving Orthodox Jewish sub-neighborhood. Rolando is bisected by University Avenue which acts as a division between Rolando Village and Rolando Park. College Area is a vibrant area featuring many eateries, drinking establishments and stores. Rolando is primarily a residential community with a businesses predominantly located along El Cajon Boulevard. The College Area community gains its name from San Diego State University that sits in its midst. 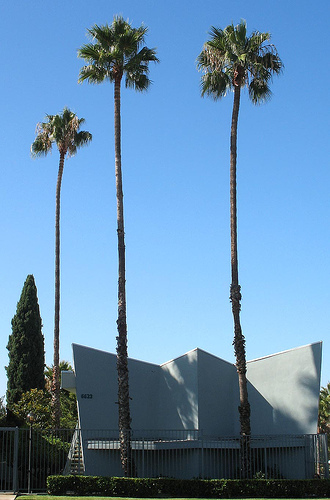 The University began its life in nearby Normal Heights as the San Diego Normal School, a teachers college. In 1935, the college was renamed and moved to its present location. Though the college became a university the neighborhood retained the world college in its name. The neighborhood spans from Interstate 8 on the north to El Cajon Boulevard on the south and from 73rd Street on the east to Montezuma Road/Collwood Boulevard to the southwest. Public education for younger students in the neighborhood is provided by the San Diego Unified School District. The neighborhood is home to one traditional public elementary school, Hardy Elementary and one private K-8 the Blessed Sacrament Parish School. There are also two unique schools, the Language Academy and Tubman Village Charter. The neighborhoods feature friendly atmospheres, beautiful parks and green spaces, and a variety of churches. Like many areas in large cities traffic and commuting can sometimes be difficult, but in Rolando and College Area the systems of local freeways and interstates along with the trolleys of the Metropolitan Transit System help alleviate some of the congested traffic and make commuting a smoother proposition. The neighborhoods feature friendly atmospheres, beautiful parks and green spaces, and a variety of churches. Homes for sale in the area range from small starter homes and cottages up through large single family homes. Other housing options include apartments, duplexes and loft spaces as well as the occasional condominium or town house. Local real estate agents are best equipped to help you explore all your housing options in the diverse and lively neighborhoods of College Area and Rolando. View our selection of available properties in the College Area area. Check out the latest demographic information available for College Area. Learn more about schools near College Area complete with ratings and contact information. Browse through the top rated businesses in the most popular categories College Area has to offer.